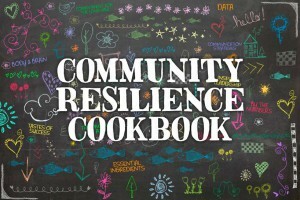 The Health Federation of Philadelphia (HFP), with support from the Robert Wood Johnson Foundation (RWJF) is pleased to announce the release of a new interactive tool, The Community Resilience Cookbook. The Community Resilience Cookbook illuminates the innovative, collaborative initiatives that have been successfully undertaken in nine diverse communities in the US and Canada to raise ACES awareness and mobilize action to prevent adversity and violence, promote resilience and healing, and contribute to building a culture of health. It is our hope and expectation that in these examples you will find useful insights into the key ingredients for effective community engagement and inspiration to mobilize your own community to take up this challenge. By sharing these stories, we hope to spread the lessons learned, build connections and illustrate how communities can begin the work of healing.